An innovative new scheme launched this month could signal the end of concerns over author ambiguity. Since October 16, academics, researchers and contributors can register for a unique ID with ORCID (the Open Researcher and Contributors ID repository). These identifiers can be used by editors, funding agencies, publishers and institutions to reliably identify individuals in the same way that ISBNs and DOIs identify books and articles. What does an ORCID look like? An ORCID is a 16-digit number which will usually be presented in the form of a web address that leads to the researcher's profile, for example http://orcid.org/0000-0002-8534-5985. To register, researchers should visit the ORCID website, www.orcid.org, where they can create a complete online record of their research and publications. This is made open and freely available via a web page and data feeds. More importantly, once created a researcher’s unique ORCID can be used as a linking identifier throughout the entire chain of the scholarly communication process to allow reliable attribution of research. Editors will have a one-stop shop for reviewing a contributor’s history and can gain an oversight of an author’s work to date, as well as their professional relationships. Researchers will avoid having to enter biographical and bibliographic data in multiple systems. Institutions and funding bodies will benefit from easier, more reliable analysis of scholarly output. Publishers will enjoy a simplified publication workflow and greater opportunities for product and service development. ORCID hopes that by creating a registry of unique identifiers for individual researchers, the name ambiguity problems that have hindered the development of interoperable scholarly tools and networks will be solved. Even the inclusion of email data with submissions has only recently become common in the US and Europe, and for articles written in Asia we still rarely receive complete email information. We also face challenges around name distribution, particularly in Asia. According to the 1990 US census, there are 1,713 family names that represent 50% of the population (take a bow, anyone called Spangler, family name number 1,713), whereas in Korea there are three: Kim, Park and Lee. Elsevier is a founding sponsor of ORCID and helped to fund the initiative through donations and loans. We have also contributed significant staff time towards its launch. We expect to integrate ORCIDs into many of our products and services, including Scopus the world’s largest abstract and citation database of peer-reviewed literature. Initially researchers will be able to link their Scopus author profiles with their ORCID records, saving them time when setting up their ORCID profiles and allowing Scopus to automatically keep their ORCID bibliography up to date. Next year, we hope to begin incorporating ORCID data into the Scopus author profiling process to increase the accuracy of the Scopus profiles and automatically propagate work that researchers do to clean up their ORCID profiles. ORCID data will be added to our SciVal products, enabling increased interoperability with your own data. We are also planning to integrate ORCIDs into the manuscript submission process; this will save authors time when going through the submission process, and enable us to automatically update their bibliographies when articles are published. 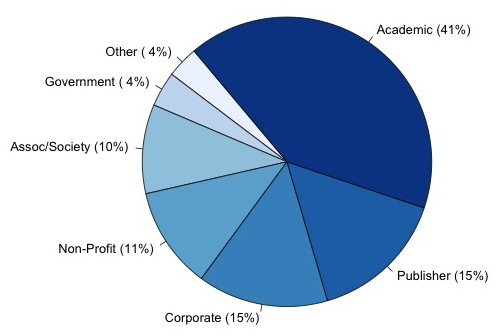 Who owns ORCID and will it succeed? ORCID is a not-for-profit organization founded by academic institutions, professional bodies, funding agencies and publishers. It has been launched with the help of donations, sponsorships and grants from across the scholarly communication sector and will sustain itself through membership fees for institutions and organizational members. ORCID has declared a set of principles committing itself to openness, transparency and the protection of scholars’ privacy. ImpactStory (formerly total-impact.org) is one of ORCID’s launch partners. Currently if you want to receive a report of all the times your publications have been shared via Twitter, Mendeley and other social networks, you must upload a list of all your publications. With ORCID, when you visit www.impactstory.org, you’ll be able to login and automatically import all your publications using your ORCID profile. There have been several earlier attempts to create unified ID systems, none of which have enjoyed the universal adoption essential to become established as a standard: they have either been perceived as proprietary (owned by an organization or corporation and not truly open), have emerged from a specific discipline with particular characteristics, or they have not been truly international. To succeed, ORCID has to build upon the community's experience and, to date, the team behind the repository has worked closely with experts in researcher identification systems from across academia and industry. Looking ahead, ORCIDs are compatible with the ISNI (International Standard Name Identifier). By mutual agreement, ORCIDs and ISNIs will not conflict, so future co-operation is possible. The computer code that runs ORCID has been released under the MIT Open Source License framework, and is available to anyone for re-use and addition. Public data in the repository will be deposited with partners on a regular basis. We hope that the cross-community structure, the open and international nature of the organization, data, interface and code, and the guarantee of permanence will establish ORCID as the standard in scholarly IDs. How will an ORCID help me? Many organizations have announced tools and applications that interface with the ORCID repository. Participating in the ORCID Launch Partners Program are research institutions, publishers, research funders, data repositories, and third party providers. Researchers and scholars can register for an ORCID identifier, create ORCID records, and manage their privacy settings. ORCID holds records created by universities on behalf of their researchers and scholars. Researchers and scholars can link their ORCID identifier record data with external systems including Scopus and ResearcherID. ORCID links to a number of author profile and manuscript submission systems, facilitating researchers’ and scholars’ creation of ORCID records. Systems that already offer integrated ORCID Identifiers include the American Physical Society, Aries Systems, Hindawi, Nature Publishing Group, and Scholar One Manuscripts. Researchers and scholars can search and upload publication metadata from CrossRef. ORCID will also soon have the ability to link to grant application systems and add book and data records. The next year will be an exciting time for ORCID. With a major release already in the pipeline and developer days planned, we expect to see increasing integration across the scholarly community, with ORCID data being used to power CV / resume / grant application forms automatically, and with connections being built to institutional systems and research tools. We hope that the community will benefit from the work that has been invested in ORCID to date, and that you will join us on www.orcid.org. Mike has worked at Elsevier for 16 years. He has been a research specialist in the Labs group for the last four years, and has been involved with ORCID (and previous projects) throughout that time. Mike's other research interests include altmetrics, contributorship and author networks. Details of his research work can be found on http://labs.elsevier.com. Chris is responsible for the platform and systems which power online products such as ScienceDirect and Scopus. He has worked in various capacities on ScienceDirect since its inception in 1997, and currently represents Elsevier on a number of industry organization boards, including ORCID, CrossRef and the International DOI Foundation. Chris holds a Masters in Electronic Systems Engineering from the University of York in the UK.